Joni (Mia Wasikowska) is about to leave for college when her brother Laser (Josh Hutcherson) asks her for a favour. Having turned 18, she can now make contact with their biological (via sperm donation) father - a man he is desperate to meet. Against her better judgement, and unbeknownst to their mothers (Annette Bening and Julianne Moore) Loni gets in touch with Paul, the world’s most chilled out restaurant owner. However, Nic (Bening), desperate to keep in control of her family, soon feels threatened by his presence and, before long, the family starts to implode. I loved this film and would highly recommend it to anyone. It made me laugh, it was really moving and I genuinely liked all of the characters. All of the central performances are fabulous. While I enjoy Julianne Moore in just about everything, it was Annette Bening’s portrayal of Nic that stayed with me - she is superb. I sometimes find that films driven by characters as opposed to plots often disappoint at the end. 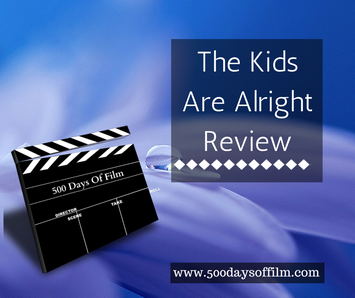 Not so with The Kids Are Alright - the movie stays true. See it, I promise you won’t be disappointed. There is a superb, lingering close-up shot of Annette Bening mid way through the film as she realises just how much her family is under threat from Paul - just fantastic. Just love Mark Ruffalo in anything and he plays the role of Paul perfectly.